In this tutorial, we’ll look at the Mootor Framework, an HTML 5 framework for developing mobile applications. It’s reasonably new (March 2014) and lacks the flurry of development some similar frameworks have, but it’s always worth taking a look. Once complete, clone the Mootor framework and copy the dist, source and examples folder into the angular-seed directory. Using the Mootor framework, we’ll be creating a simple Bucket list app where users can sign in and create their bucket list. We’ll hook up the app to the Firebase backend to save our data. 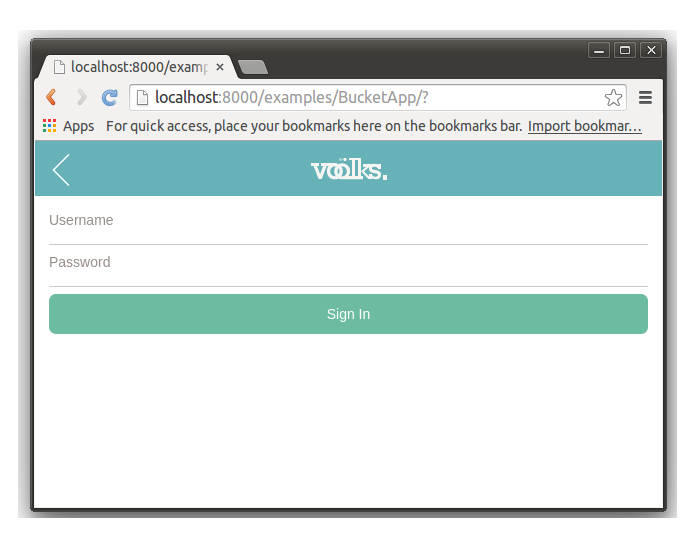 Create a directory called BucketApp inside angular-seed/examples. Create an HTML file called index.html which will serve as the root file. Include all the required libraries inside this file. Next create index.js where we’ll define the routing for our BucketApp. Inside BucketApp create a directory called views. Inside views create a folder called index and inside it create index.html,index.js and index.css. index.html will be the default view of our app,index.js will be the supporting script and index.css will be css related to the index view. Restart the server, point your browser to http://localhost:8000/examples/BucketApp and you should be able to see the sign in screen. Open up examples/BucketApp/views/index.js. This is where we’ll define the sign in logic. We’ll be using Firebase as a backend. Let’s start by attaching a submit event to the sign in form. Getting started with firebase is quite simple. Start by registering for a free account on Firebase. Once you log into firebase, from the left side menu click on Login & Auth and check Enable Email & Password Authentication. 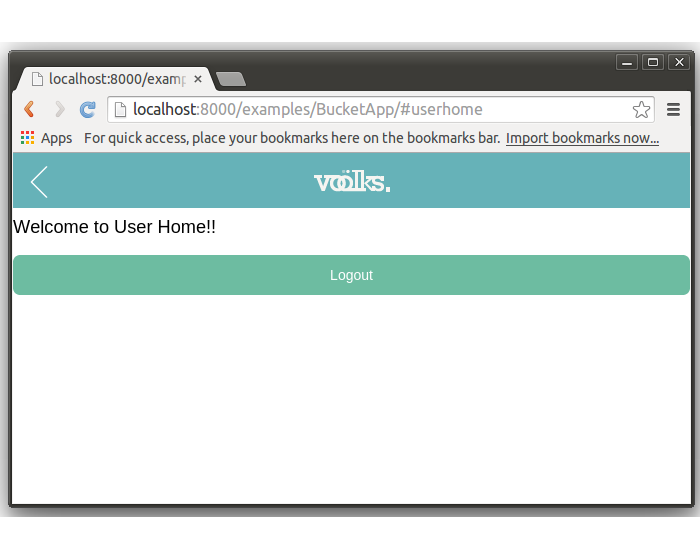 When a user has successfully logged in, the app will redirect to the users home with a welcome message. Let’s create a view for the user home. Create a folder userhome inside examples/BucketApp/views/. Inside it create userhome.html, userhome.js and userhome.css. Let’s implement the user login. Once a user submits the sign in form, we’ll validate the username and password for empty values and call the firebase auth.login function. 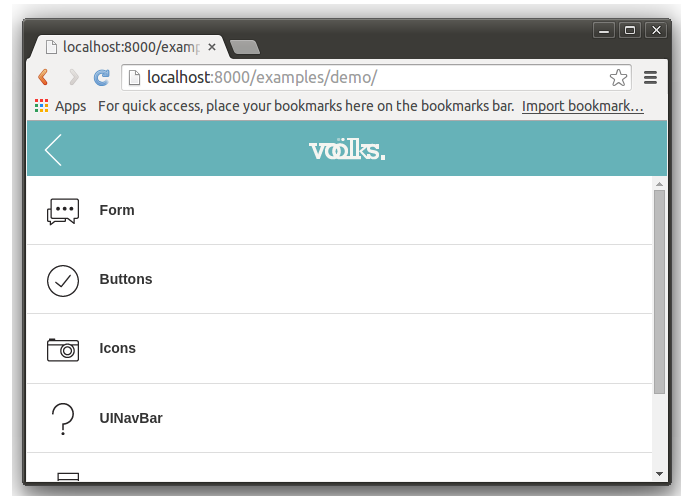 In this tutorial, we saw how to get started creating a mobile app using the Mootor framework. We implemented user sign in functionality using the Mootor framework and Firebase. In the next tutorial, we’ll try to use some other features offered by this framework and also implement the sign up functionality. Detailed info about the framework can be found in the official docs. What are your thoughts? Does it offer anything new over other existing frameworks? This is the new frame work which i had seen in the mobile development. Thank u for updating the latest frame work.